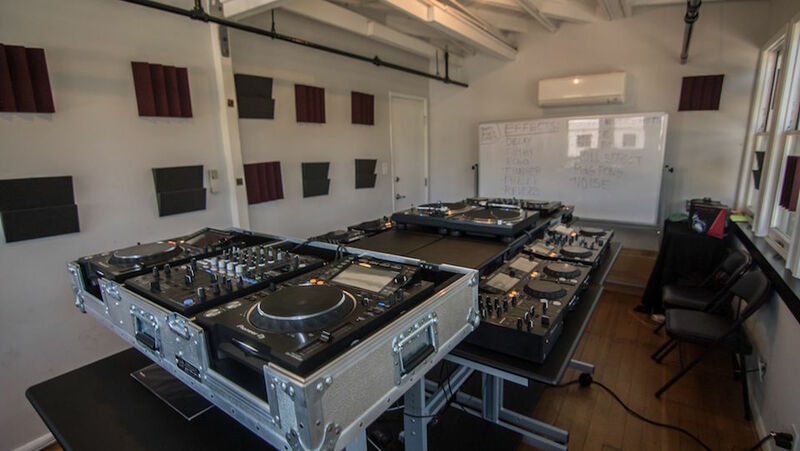 Based at Mack Sennett Studios in Silver Lake, Point Blank Los Angeles gives students the unique opportunity to learn music production and sound design with the world's Best Electronic Music School (DJ Mag). Nestled in one of the most happening neighborhoods in the city, the venue hosts Oscar afterparties, fashion and photography shoots, plus every big music video in recent years was shot at the studios – Red Hot Chili Peppers, to Dr. Dre, and Pharrell to name a few. Run by Jesse Rogg, a Grammy nominated music producer / songwriter who’s enjoyed a No.1 US hit with Sam Sparro and is currently working with Banks, students enjoy Jesse’s extensive contacts in the music industry including our experienced instructors and masterclasses from such high calibre guests as Travis Holcombe (future beats DJ from KCRW), Laura Escude (Jay Z, Kanye West), House legend Todd Edwards, and Daddy Kev (Low End Theory). Also featuring lectures from ASCAP on music industry revenue streams and how copyright works. Point Blank Los Angeles is proud to offer our students the best equipped Ableton Live facility in the world, with each iMac workstation including Ableton Live with Push controller, NI Komplete 10, AIAIAI headphones, Kontrol 49 keyboards and Output’s excellent REV. It’s a great setup! Class sizes are strictly limited so early booking is strongly advised.